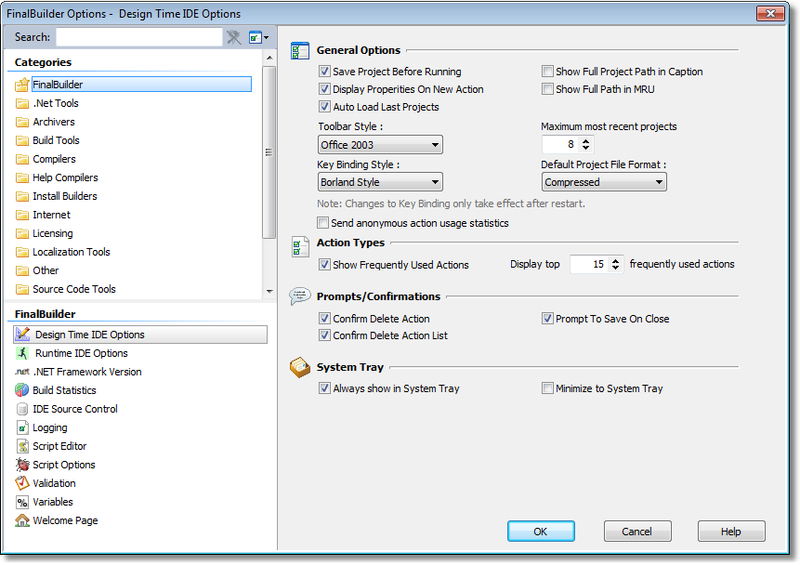 The options dialog allows you to set general FinalBuilder options and preferences, as well as options for some action types. Options are grouped into categories on the left. You can search for options using the search box, and alter the orientation and sort order using the option button. See Actions Tab.